April Showers bring May flowers and while there may or may not be a torrential downpour currently above my little abode, I have some favorites that will have you flourishing by May. Whew, that was a lengthy name but really this is my latest holy grail. The humidity has been real as of recently and while I am all about the natural highlight, I do enjoy not having to blot my face in the middle of the day. On top of controlling the sheen this mineral powder offers additional protection from those nasty UV rays. And speaking of UV rays, if you happen to get a little toasted like I did over the weekend the Rescue & Renew Detox Oil is everything you need. 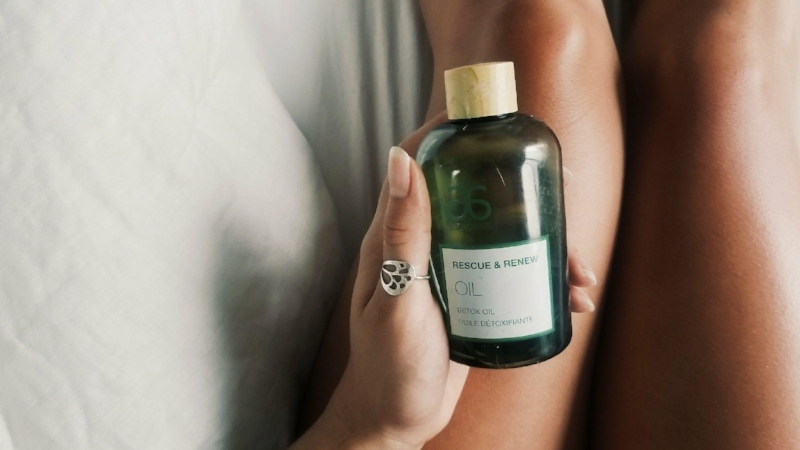 This hydrating oil is perfect for the nourishing TLC that your skin needs after a day at the beach. It will definitely have you looking sunkissed instead of sunburnt in no time! It really should come to no surprise that this was a fast favorite of mine and a piece that carries a lot of meaning for me. Not only is it the perfect representation of my passion project but it is a sign of what is transpiring and what is to come! Goodbye Butterfly has had a number of transformations over the years as I continue to grow and my recent partnership with Wings Hawaii has given me the opportunity to spread my wings into more writing. The little abode has been coming together in the midst of all the things that have been happening the last few months and it is close to how I envisioned it. A home tour is coming to you eventually but for now, I am kind of enjoying keeping this space my secret escape. My darling Angie was gifted to me from my sweet soul of a Nana and that gives her an even more special place in my heart. Her heart shaped petals adds the perfect blush to our otherwise neutral space and I am just in love. This has been my go to for well over a year now and I loved it so much that I squeezed every last bit out of that tube. The lightweight, fast absorbing formula has helped even out my skin tone and for that I will be ever faithful. I finished this product to the last drop and sadly, I am forced to say goodbye. In an effort to make room for the new goodies coming out at GTC 2018 in a few days, Arbonne is phasing this specific line for something even better! P.S. If any of this has peaked your interest, please tell me about yourself! I would love to help you discover how Arbonne fits into your life. It is also important to note that Shelby is an Independent Lifestyle Consultant with Arbonne International and does receive a commission off any purchases that are made through her link. All recommendations are genuine and represent Shelby's current routine.